Of electrifying paint jobs and atmospheric conditions! After an excellent luncheon, Jim and I started our return journey from Scalpsie Bay to Portencross. 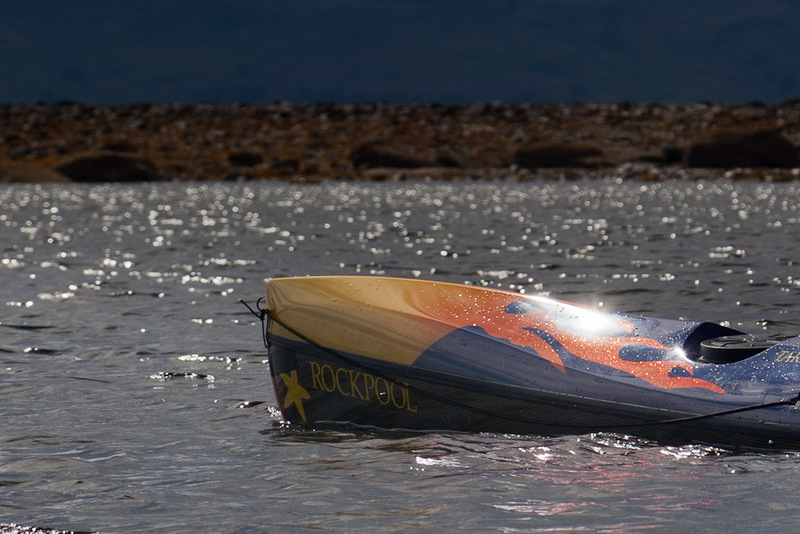 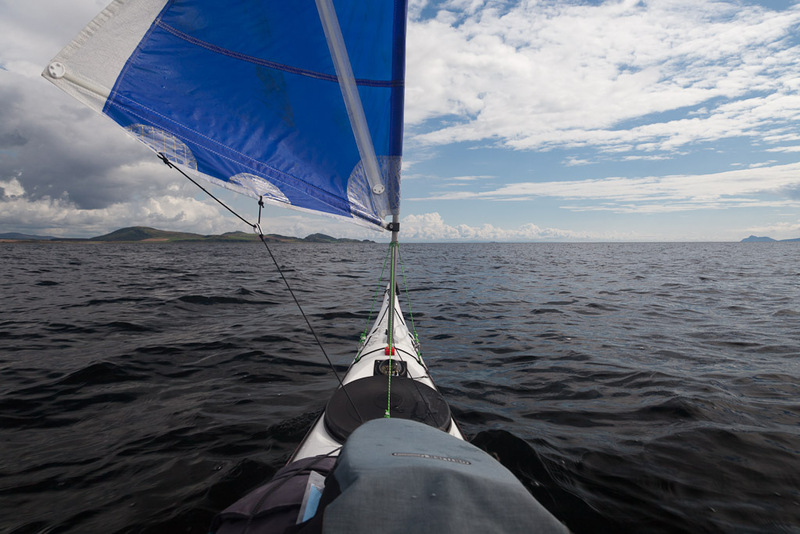 You certainly will not miss Jim's new Taran on the water. 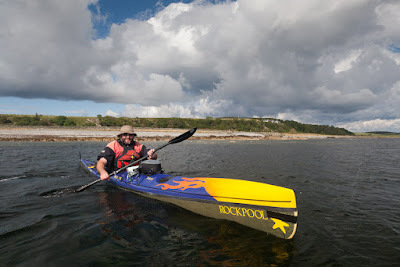 My all white kayak is really rather plain in the Taran's company! 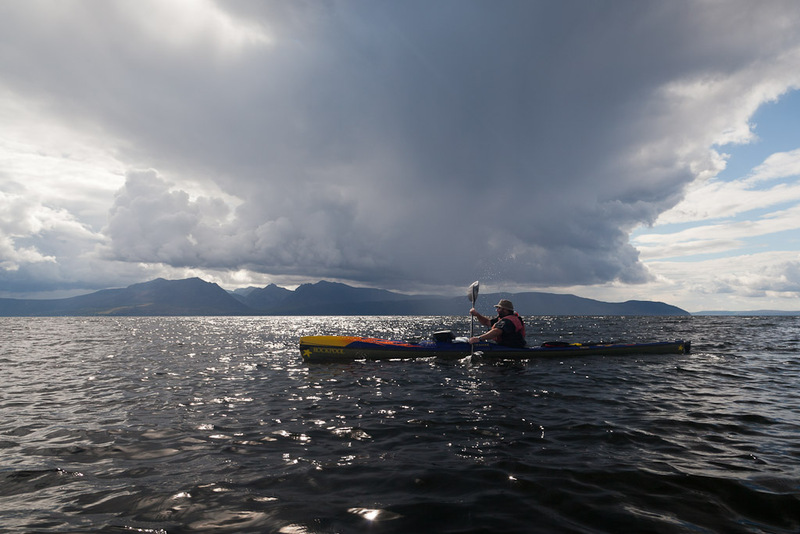 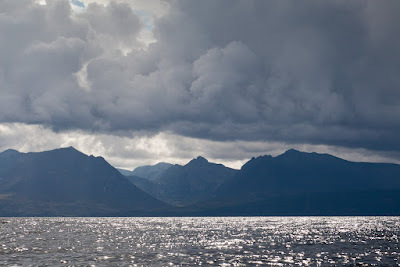 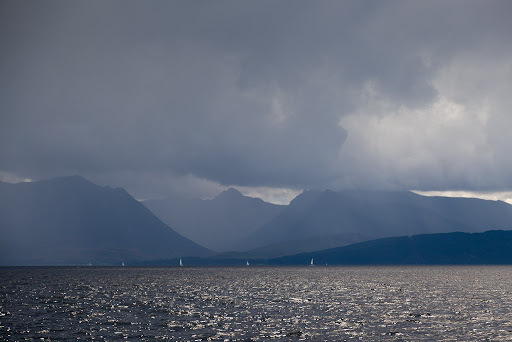 ...above the Arran mountains and there was distant rumble of thunder in the air. Then the full storm unleashed itself on Glen Sannox.